Our basement is a dreary, unfinished space; it's cold, dark, and poorly lit. Maybe a little dungeon like. But, on the bright side, we have lots of room for storing our junk and once we get it fixed up a little, we'll have a couple hundred square feet of additional living space! We started making changes a few months ago and it's finally taking shape, but first I wanted to share our inspiration and plans. I love everything about this room. 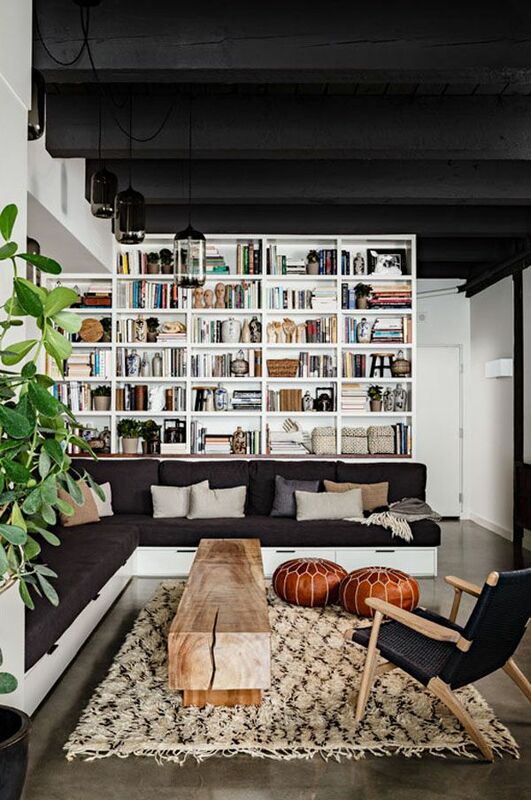 The black ceiling, sectional, color palette. It's amazing. Part of our plan includes a cozy seating space. I've spent hours searching but I can't seem to find a sectional that meets my picky taste and limited price range. What's completely silly is that I work for a huge furniture retailer and have access to employee pricing, but still can't decide. So, yeah.....I think we'll end up building something. I really dig this sectional made from two twin sized beds. 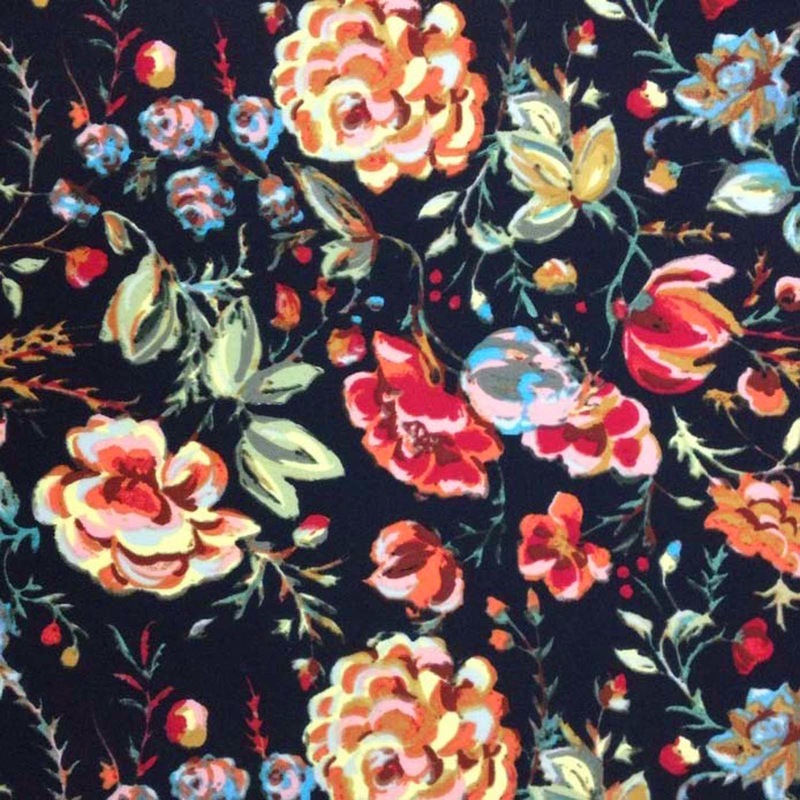 I found a couple yards of this pretty fabric on sale at JoAnn. I'm not sure what I will do with it, but I love the colors and pattern, so I snatched it up! Image link is to a scuba fabric, but mine is like a heavy faux silk. I couldn't find it on their site. 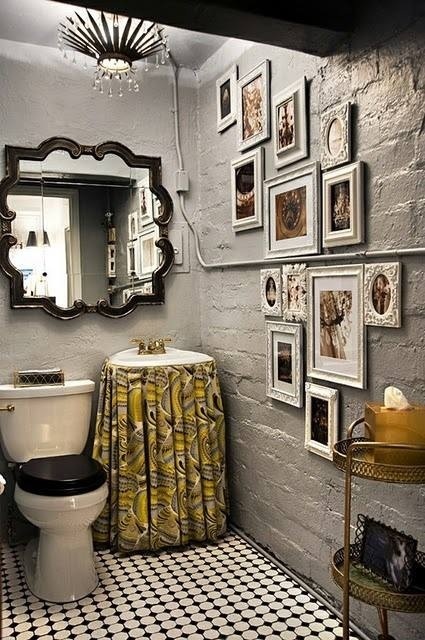 Our basement bathroom is unfinished, but this image inspired me to try fixing it up on the cheap. I've already painted it gray, which was a big improvement and I have a few more plans. But, I dunno, it will either look rad like the bathroom below, or like lipstick on a pig! Jesse and I used to climb a lot and now that our kiddo is four, we want to start training and planning weekend trips again. Jesse just finished building a sweet wall / fort combo and this retreat in Japan was our inspiration. 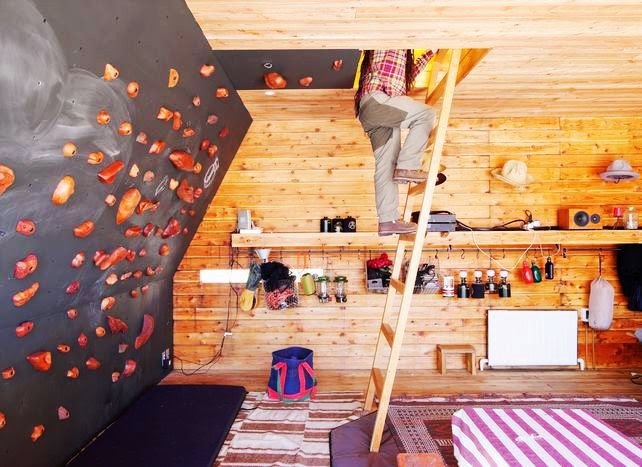 - build a combination climbing wall, playhouse. - paint the cement floor. -decor including a large mirror, shower curtain, etc. Thanks, Monkey! Can't wait to share our progress soon! We keep thinking of painting our exposed ceiling black, but I'm worried it would take forever and 400 gallons of paint. It would look really cool, though--can't wait to see how yours turns out! Hey Gretchen! I actually had the exact same reservations. We ended up paying a guy to spray the ceiling. It was a little spendy, but shortened our timeline by several weeks and looks awesome, you should go for it!